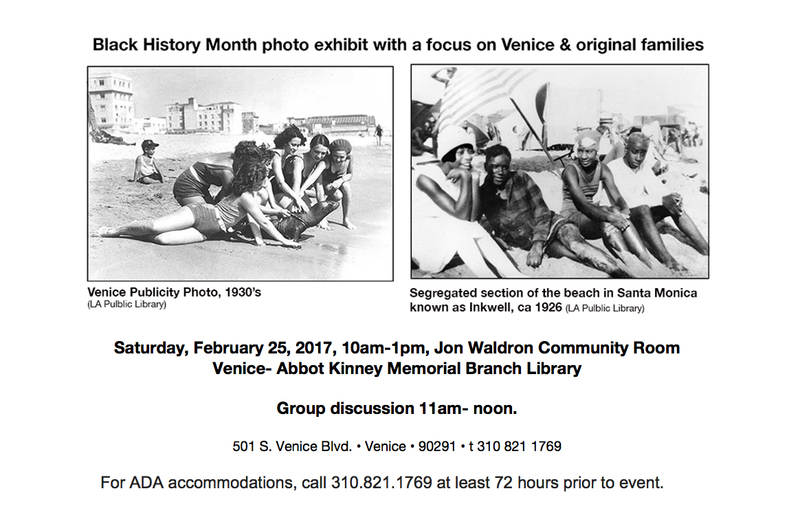 Black History Month Presentation Saturday February 25, 2017 10am-1pm at the Venice Library. Long term prospect for Venice property not so good. Listen up, ‘Eliterati’ — Venice Residents Hire Law Firm on Retainer! 1984-2017- THE END OF THE WORLD!